Equip your entire team and parents with yearly baseball resources that will transform your players experiences! Perfect for the coach who wants access to everything for everyone! Access to new programming throughout the year! Join over 3,200+ satisfied organization members, coaches, and parents! Engaged and developing at practice each week. Helping them get better each time out. One of the biggest needs that we here from organizations, coaches, and parents alike is the feeling that different teams are receiving different levels of instruction. While most teams have good hearted and well intentioned coaches and parents helping, there is no doubt that it is hard for them to create and maintain a great and engaging baseball experience. Fact: Most coaches and parents do not have time to plan practice. Kids want a structured practice. They also want something different each week to keep them engaged and make them feel like they are getting better. With our Pro Level Membership not only will you have access to over 30+ weekly practice templates that has video drills in them, you'll also have access to our practice builder where you can create your video practice template using all of our drills in our library. Fact: You can find random practice drills online. There are literally thousands of drills online. But how do you know which drills will help your team develop? What order do you teach the drills? Great coaching is making sure your players know how to progress into drills so they can try to master them. Our Pro Level Membership structures each position with progressive drills so that it takes away the guess work for you. You can't find more affordable instruction. There are a lot of private baseball instructors out there. In fact, perhaps some of your players are paying to get private instruction. Our Pro Level Membership is extremely affordable while providing some of the best instruction available. What You will experience with a Pro Level Membership? Complete access to all 30+ weekly practice templates for all coaches - over 200 video drills! Access to Coaching Academy Library - over 50 videos! Who should become a Team Pro Level Member? Imagine that you have an enormous bank of coaching resources all laid out for you. Your job of providing a fun, engaging, and developmental experience just got easier. Why should you become a Team Pro Level Member? Engage Your Kids and Parents. Kids are no longer playing sports. They are finding other things to do that are more engaging. With equipping your team with resources that are designed to engage kids in practice and their baseball experience, you can be the leader in your organization stopping this trend. Build Credibility with Your Organization/League, Players, and their Parents. Imagine what your organization would say if they had a coach like you that has access to resources that can support and develop the types of experiences you can give to your kids. This will make you a leader in your organization and a leader in your community. Transform the Baseball Experience to Keep the Kids Coming Back. Give kids the best baseball experience possible with great, thorough, and high-quality resources. Oh, yeah, it's also VERY AFFORDABLE. Simply enroll in our yearly membership to access all of our resources. We'll email you your login info. to access all of our baseball resources for your season. We'll personally check-in with you throughout your season to assist you with tips and strategies on how to best utilize your membership. 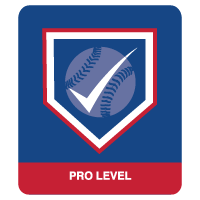 The Team Pro Level Membership is for one year from the date you purchased the membership. All of our products have a 30 day money back guarantee. If you're not completely satisfied with your purchase please contact us for a complete refund. Can you upgrade to the Hall of Fame Level? Will my yearly membership allow me to see new content? Yes. We add a TON of new content every month. Your plan will always include the new content that we create for that year. If you have the Lifetime Hall of Fame membership, you never have to worry - you will always get new content. Once I become a Member where do I start? We will email you your login info. so that you can login into the Member Home Page. From there you will be able to access Hitting and Practice Resources. With about 40 years of coaching varsity baseball at St. Louis University High School, running his Youth Baseball Camp for almost 30 years, and many more years playing, including collegiate ball at St. Louis University, Steve has developed a system of teaching baseball which emphasizes fundamentals and positive development, both athletically and personally. Furthermore, Steve’s experience officiating NCAA basketball has provided his players and parents perspectives in approaching competition and sport that only few can provide. 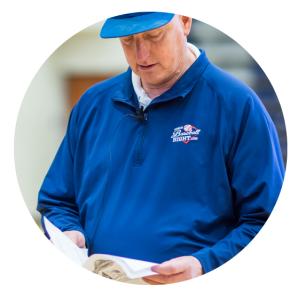 You can find other baseball resources, but Coach Baseball Right's Certification is unique because of its thoroughness, support, and commitment to help your organization bring a more transformative and affordable experience to your kids. In other words, no one is bringing you the level of commitment to provide a new, different, and credible baseball experience. If that sounds appealing, then welcome! Let's begin together.